Agreement reached for European Maritime Single Window On 8 February 2019 an agreement was reached between the European Council, the European Commission and the European Parliament, regarding the proposal to harmonize ship notifications in Europe, through the a European Maritime Single Window. 11.02.2019 The final text includes an agreement that provides security for Port Community Systems in relation to the public National Single Windows that have to act as a 'mailbox' for reports to authorities. Namely, Port Community Systems that meet the requirements of the European reporting interface module must be allowed by member states as a reporting system. 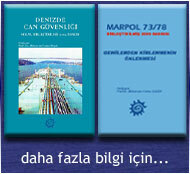 According to the the final text, which has yet to be published, the Port Authority will examine the consequences of the European Maritime Single Window Regulation for the reporting process in European ports and discuss this with, among others, the ministry responsible for the elaboration at Member State level. Commenting about this development, the Port of Rotterdam Authority and other major ports in Europe, said that it was of great importance that investments in current Port Community Systems (Portbase) and port call optimization processes in European ports would not be affected. On 15 October 2018, the European Parliament’s Committee on Transport and Tourism published the draft report on the Commission’s proposal for a Regulation creating a European Maritime Single Window environment, which came out on 17 May. The report focuses on the harmonisation of data elements and data sets, and supports the cooperation between customs and maritime authorities at both national and Union level. It also recognises that, even with a fully harmonised data set, relevant authorities might require additional data. Moreover, the draft report states that Member states should allow the use of port community systems, as long as those systems are then passing the necessary information to the National Single Window. What is more, the report underlines the importance to provide National Single Windows with a governance dimension and takes a realistic approach concerning the reporting only once principle.